*To earn all points from SWCT and CTRS events. Registrations received after November 5th will allow teams to accumulate points from date registration received. Provincial Format: 9 team round robin to a page playoff. CURLSASK, in conjunction with Curling Canada provides a Curling I/O on-line registration and payment system. Any team member can create the team in Curling I/O, but all team members MUST create a profile in Curling I/O. All team members will be required to read and accept the Event Participation Agreement (waiver). Click here to create a Curling I/O account. An e-mail address can only be used by one person. Your e-mail address is what identifies you in the Curling I/O database. In order for teams to be eligible for the accumulation of points toward either the SCT or CTRS Saskatchewan Provincial berths, each team must register for the Canadian Team Ranking System (CTRS) and Saskatchewan Women’s Curling Tour (SWCT) before November 1st of each year. Centralized database of curlers, compliant with privacy laws and using industry standard encryption, firewalls, and other security measures to protect personal data. Registering your team provides CURLSASK the ability to use and disclose information from individuals for the purpose of providing services or information, managing records, conducting research and sharing information to other curling or sports organizations at the discretion of CURLSASK. Cancellation prior to the registration deadline – full refund of competition registration fees. Cancellation after the registration deadline – no refund of competition registration fees. Under special circumstances written application for refund can be made to CURLSASK Finance Committee for consideration. 2018-2019 General Rules of Competition – COMING SOON!2018-2019 Competitor & Coach Code of Conduct – COMING SOON! All participants must be player members of CURLSASK. Player Members are defined as persons who are members of CURLSASK Affiliate Member Curling Clubs. All participants must adhere to the CURLSASK Residency Policy and be Canadian Citizens. Each team must register its four players prior to the commencement of play. 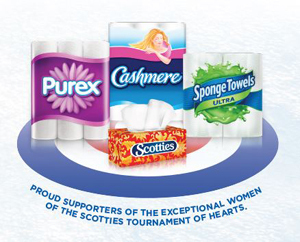 At the time of entry, the team must declare which one curling club they shall be representing for this competition. If a team has a coach at Challenge/Last Chance/Provincials, he/she must be Competition Coach Certified or Competition-Development Trained. At Nationals he/she must be Competition-Development Certified in the sport of curling to be recognized. All coaches must complete the Respect in Sport on-line training program prior to being granted coaching status. The CURLSASK registration fee for this competition is $240.00 (GST included) per team plus a Curling Canada Participant Fee of $45.00 per player payable at the time of entry. To earn ALL points for pre-qualification through CTRS or Sask Women’s Curling Tour, a team must be registered by November 5, 2018. A team with an alternate player is ineligible to have a substitute player in the event. For CTRS/SWCT Events see F. (4). For Provincial Qualification Bonspiels, a substitute may come from anywhere in the province but may not be a registered member of a team in the Women’s competition. For Provincials, a substitute may come from anywhere in the province, not be a registered member of a team competing in the provincial event but could be from a registered team who has been previously eliminated from the Women’s competition. Three (3) berths will be awarded to the highest ranked registered Sask. teams on the CTRS by (Dec.17, 2018), as per the guidelines in Section E.
One (1) berth will be awarded to the highest ranked registered Sask. team on the SWCT by (Dec. 17, 2018), as per the guidelines in Section D.
If the SWCT runner up is not in the top 65 teams, the berth spot(s) will then be awarded to the CURLSASK Last Chance Spiel. At the Provincial Championship a nine (9) team round robin format will be used. At the conclusion of the round robin the top four teams will advance to a page system playoff. It is understood that teams will have to enter and/or qualify for these Point Qualifying Berth Events under the terms and conditions of each respective bonspiel. Check with respective host clubs for details. Events with 8 teams or greater participating – full points awarded. Under 8 teams participating – no points awarded. The number of teams that qualify for playoffs will be maximum 8 teams and minimum 4 teams and will be determined per event by the SWCT committee dependent on number of entries into the bonspiel. Sudden death playoff among tied teams. Date and location determined by CURLSASK. The SWCT must host a minimum of four (4) spiels to be eligible for the SWCT Runner up spot. The berth would be awarded to the last chance qualification event if this condition is not met. All 2018-2019 Women’s CTRS Events during September, October, November and up to and including (TBD) will be designated as qualifying events for the 2019 Provincial Championship. Teams wishing to earn points toward CTRS Berths must register with Curling Canada on-line prior by the deadline set by Curling Canada. On Dec. 17, 2018 the three highest ranked registered Saskatchewan Teams on the CTRS will earn berths to the Provincial. Head to head record in CTRS events. 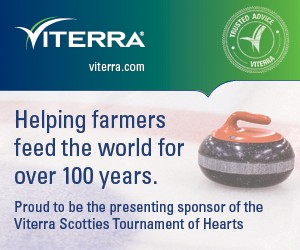 All participants must be affiliated members of CURLSASK. Team rosters need to be declared through CURLSASK on-line registration. Competition Fee, including the Curling Canada Fee, must be paid to the CURLSASK Office or through on-line registration, by November 5th. Points accumulated prior to December 17, 2018 will count only if fees and registration are completed by November 5th. Registrations received after November 5th will allow the team to accumulate points only from date of registration received. Teams wanting to earn points via CTRS must also register on-line with Curling Canada at curling.ca. play the position of the indisposed player or lower. Calculation of SWCT points will be completed by the SWCT Committee, and will be posted on www.curlsask.ca SWCT Any discrepancies should be brought to the SWCT Committee. Calculation of CTRS Points is completed by Curling Canada with confirmation by CURLSASK and will be posted on www.curlsask.ca. Any discrepancies should be brought to Curling Canada’s and CURLSASK’s attention. Qualification Bonspiel #1 (Viterra Women’s Provincial Challenge Qualifier) will qualify two (2) teams to the provincial. Qualification Bonspiel #2 (Viterra Women’s Provincial Last Chance Qualifier) will qualify a minimum of two (2) teams to the provincial. Only team registered for CURLSASK Women’s Competition are eligible to compete in the Qualification Bonspiels. Registration for Qualification Bonspiels will be through the CURLSASK on-line registration system. Teams are required to pay CURLSASK Women’s Competition Registration Fee and Curling Canada Fees. Teams who have already registered with CURLSASK and paid competition fees to try to earn CTRS or SWCT points, are not required to pay any additional fees but still must register on-line. Teams qualifying for Provincials through CTRS, SWCT or winning a Qualifying #1 Bonspiel berth CANNOT enter another Qualifying Spiel. Registration Deadline for Challenge Spiel is December 3, 2018 @ 12:00 p.m. (noon). Registration Deadline for Last Chance Spiel is December 19, 2018 @ 12:00 p.m. (noon). Teams who may require a substitution for either Qualification Bonspiel must adhere to the CURLSASK Substitute Rules in the General Rules of Competition #14. The substitute must be a member of CURLSASK. It is understood that teams will have to enter and/or qualify for these Point Qualifying Berth Events under the terms and conditions of each respective bonspiel. In the event of any challenge or dispute related to rulings or awarded points, it is understood that the decision of the CURLSASK Competition Committee is final. Should a team qualify for a berth through the CTRS and SWCT, the CTRS would take precedence. 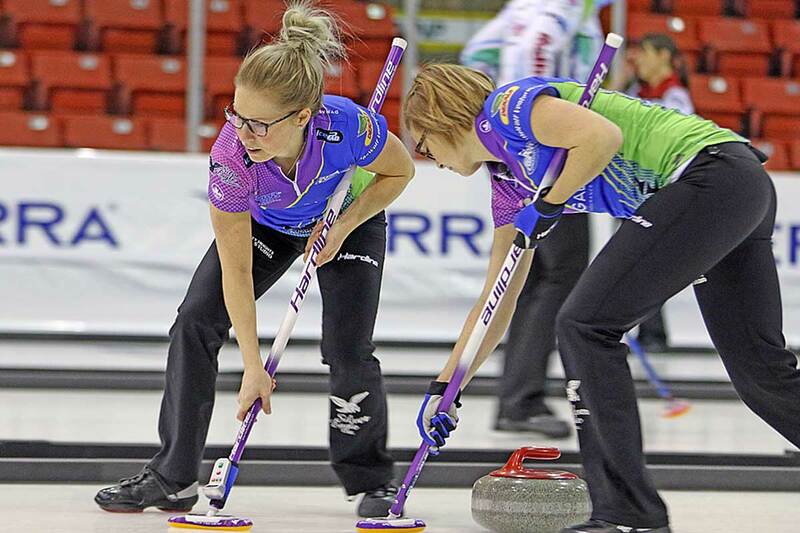 In the event a registered player(s) is/are replaced throughout the curling season, that replaced player(s) may apply to CURLSASK for reinstatement of eligibility in order to re-enter other Provincial berth events with another team. Application must be made in writing (e-mail is sufficient) to CURLSASK Chief Official at least 3 days prior to wanting to compete with any other team in a provincial berth event. A player may only request to be reinstated once for the Women’s Playdown Process. Below provides information specific to each competition host site such as hotel and ticket information. Please click on the event that you want information for. This information can also be found in the Competitor Guide under the Documents Tab. Must be reserved and paid for by 9:00 am January 4, 2019. Luncheon tickets are provided for curlers. Extra tickets for family and friends are available at registration. Admittance for competitors, members of CurlSask and media will be provided at registration.